Are you ready to hit the capital city of the Czech Republic? We guessed you might be so we have collected the 3 best hostels in Prague just for you. This special collection offers cool design and comfort perfect for solo travellers and party lovers. That’s right; you’ll find the best party hostel in Prague further down. Not only that, but you’ll find our Prague 5 Star Hostel here: Mosaic House. Keep scrolling! We condensed it all to the 3 coolest hostels in Prague. Prague is nicknamed the ‘city of a hundred spires’, known for its historic Old Town Square. The Gothic churches and medieval clock are certainly worth a look! 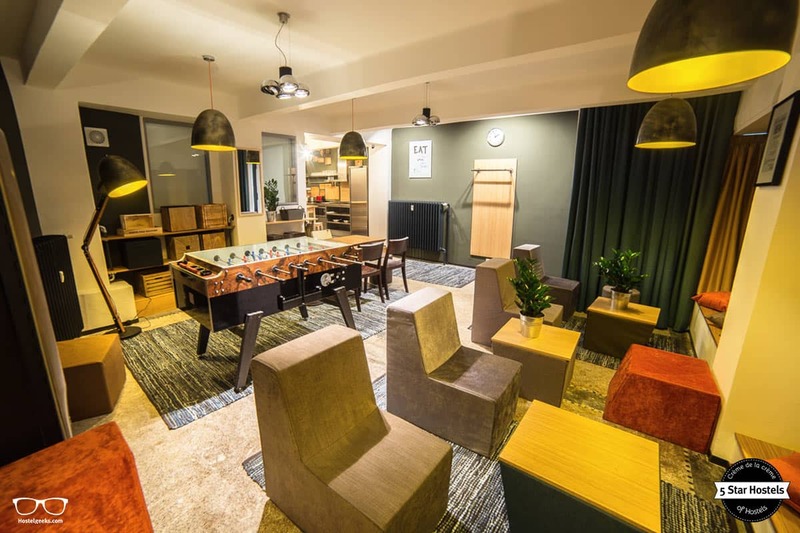 Our hand-picked awesome hostels in Prague will give you one more reason to visit. Hostelgeeks collect 5 Star Hostels all around the world. At the end of this article we share more guides to best hostels in Europe. 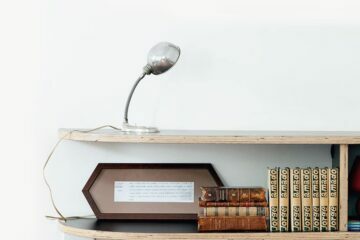 This article is jam-packed with useful information to make your planning easier and faster. 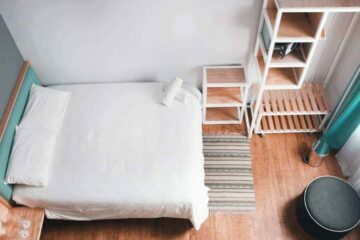 Average price for a bed: A bed in a dorm can be as cheap as 6€ up to 20€ per night. A private room starts from 40€ up to 120€ per night. This is a rough average to give you an idea. Prices always depend on season and holidays. Always check exact rates on Hostelworld.com or Booking.com. arlier or leave later. Make sure you check if luggage storage is free or if there is an extra cost. Transport in Prague: Prague is very well connected by public transports. If you stay close to a night tram route, you’ll have public transport options 24 hours a day. The old town and new town are really walk-able too. The Old town in Prague: the Old town is the geographical centre of the city and most popular place to stay in Prague. It contains a lot of pedestrianized areas. The astronomical is there. The Charles bridge connects the Old town with the Castle. If you stay in the Prague Old Town, you should never be more than a 10 minute walk from anywhere else in the Old Town. Things NOT to do in Prague: Yes, the city is packed with tourists. And there is a few things you can easily skip and scams you should avoid. We wrote a handy guide on things NOT to do in Prague here. Mosaic House is a unique Eco and Design hostel in the new town of Prague. Oh no, wait. We should it put in a different way: Mosaic House is the ONLY 5 Star Hostel in Prague! The atmosphere is buzzing, there is a fantastic team and events are always happening here – no wonder it’s a 5 Star Hostel. 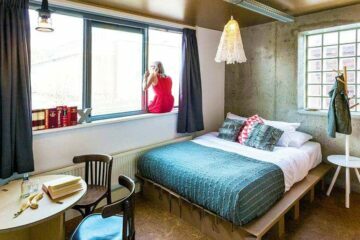 If you decide to stay here, you’ll be supporting a hostel that works on 0% emission – wow! How about Karaoke? a budget in-house restaurant? Live concerts? Parties? I see, we got your attention. 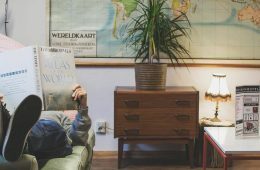 Mosaic House is seriously the abslute best hostel in Prague for solo-travellers, couples, backpackers and groups. Even families can go with the hotel-section of the property and sleep int the loft apartment with a castles view. This property has a total of 55 rooms, 42 of which are shared. A great place to mingle with other fellow travelers. 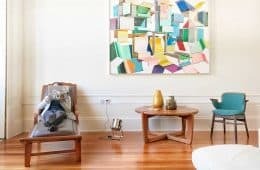 Each private rooms has a unique touch of something artsy: a special painting, a quirky photograph, or a stylish wall decor. The private rooms are separated from the dorms. The apartments on the top are high-end. And we mean: High-end! 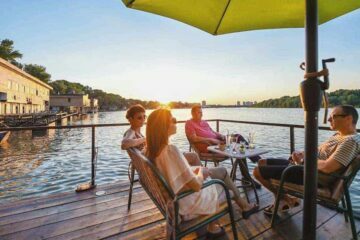 You enjoy a terrace with a castles view. 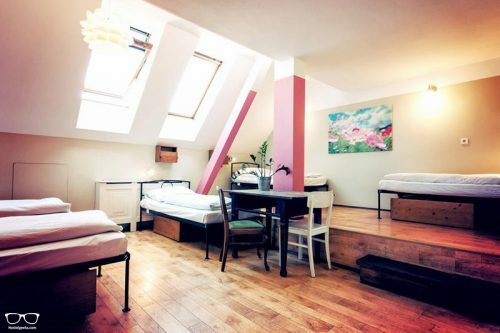 This is seriously the coolest hostel in Prague for a romantic yet party-ish, social getaway. Another big plus: All the events-area is downstairs. If you prefer having a rest, just walk up to your room and you will sleep like a baby without any noise! Personal additions = extra comfort. Everyone has access to the common kitchen and living room. Yet for those days you don’t want to cook just go to the on-site restaurant and bar: La Loca. Restaurants are generally cheap in Prague anyway, so it’s a good spot to eat-out. Especially the food in la Local is fantastic. We had pasta here. YUMMY! La Loca is an on-site restaurant come music bar come lounge. What can’t you do here? Not a lot! It’s safe to say that Mosaic House also acts as a great party hostel in Prague. Read our full review of Mosaic House and find out why this is our – and soon to be your – top choice. Authentic, friendly and humble; Sir Toby’s creates a real home away from home abode for travellers. This hostel is anything but conventional. It has something for everyone – from cosy shared dorms to quaint private rooms. You’ll surely feel the warm energy as soon as you walk through the door. 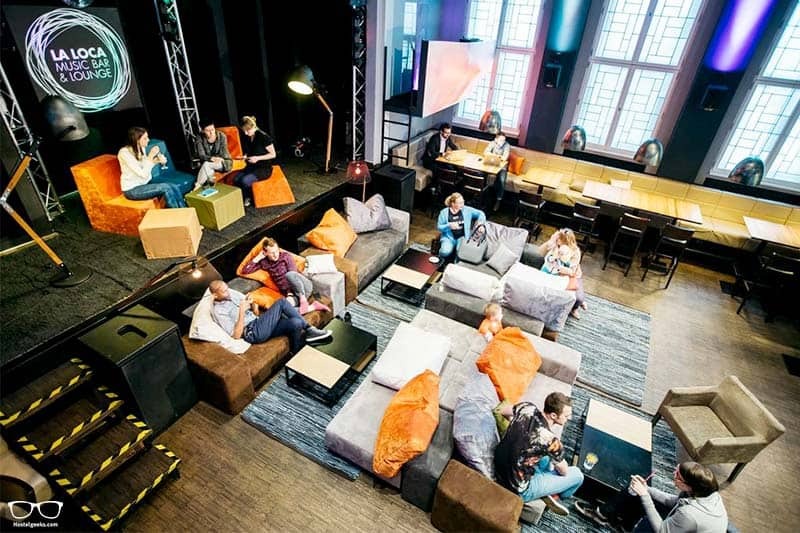 Once you’re in, you come across many awesome communal areas to hang out in. When you’re not socialising make the most of your chosen comfy room. Whether you choose a single, double, mixed dorm or female-only dorm, you’ll always find crisp clean linen waiting for you. There is a triple room with private facilities – perfect for small families. The under bed storage really helps keep the rooms spacious and bright. Good to know: Sir Toby’s accepts a maximum of 7 nights per person. Make sure you make time to join the crepe making and trivia nights whilst you’re here! Pop your belongings in a safety deposit box and hire a bike for the day – reception is 24-hours so there is no restriction. The staff will gladly help with bookings for transport, activities and tours. There are many to choose from – just ask at reception. Find Sir Toby’s in the Holesovice neighbourhood. It’s surrounded by restaurants, markets and clubs. 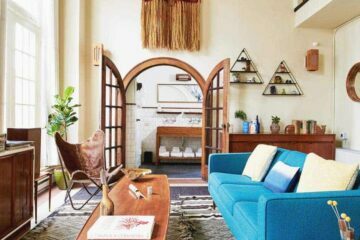 Are you looking for a super laid-back, super fun hostel? Our third chosen hostel is Hostel One Prague because it is exactly that. It’s all about the staff here, dedicated to creating a stress-free, friendly and informative environment. They’ll party with you all night too if you like! This one is the backpackers choice! Most of the rooms here are shared, including a female dorm. There’s also the option of a double-bed private. Guess what? Your bed will be ready-made on your arrival! That’s just the best thing in cases of arriving late and not wanting to disturb fellow travellers. Just so you know: there is no curfew or weird rules here – it’s all about having fun. The Rave Cave is an on-site bar offering up good beats and cheap drinks. Continue the party at a local club, lead by the staff. Need a break from the city life? Chillax on a balcony, patio and in the beautiful garden. Grab yourself a complimentary coffee and good book from the TV lounge and you’re all set. And how about a free, home-cooked dinner?! You heard that right: available every night. Daily day and night activities are also free. Amazing. 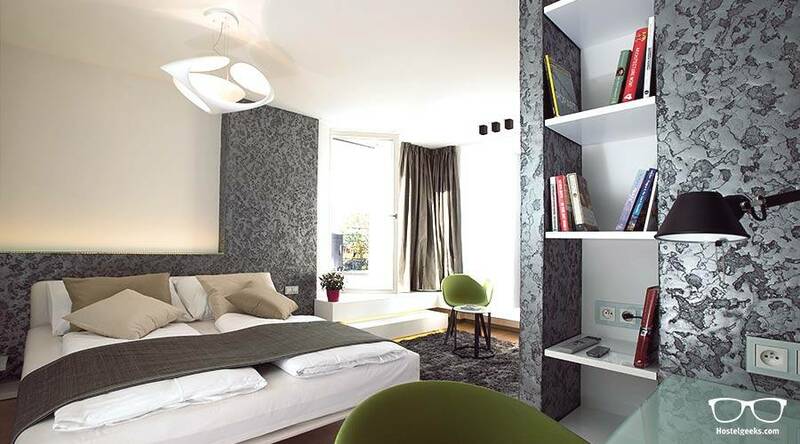 The Zizkov area, where Hostel One is located, is for the young and adventurous. It boasts the most bars, restaurants and cafes per square metre in the entire country! The Old Town is a mere 15-minute walk. Trams are easily accessible, too. 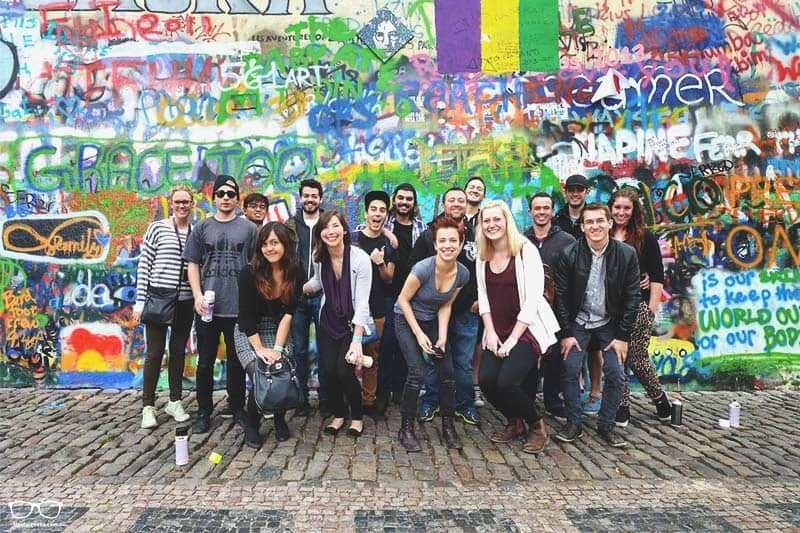 What are the best hostels in Prague for partying? 3 best hostels in Prague? Check. 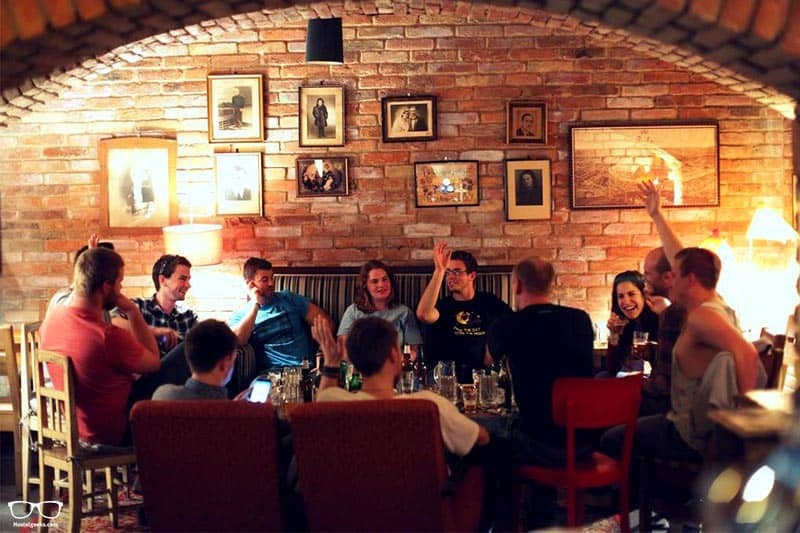 Great party hostels in Prague…? Well, so far we’ve highlighted that Mosaic Hostel and Hostel One Prague make for a good party hostel. But The Madhouse Prague really stands out as the best hostel in Prague for partying. 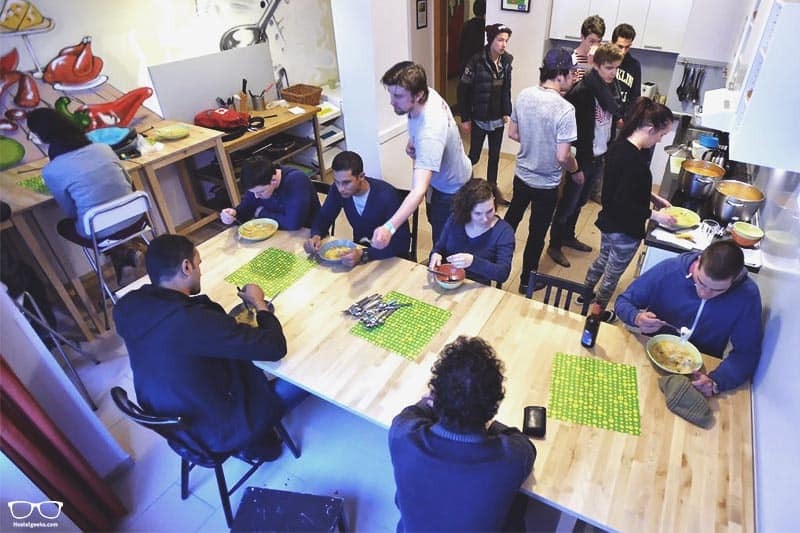 With a maximum of 40 guests, this hostel is more like a big house share full of people looking for a good time. Join in on family dinners and afternoon beer pong – there’s a well-stocked beer fridge in the kitchen. Laze in the lounge with a movie to cure your headache the morning after the night before. You’ll be slap bang in the centre of the Old Town so 24-hour pizza and kebabs are a stone’s throw away. 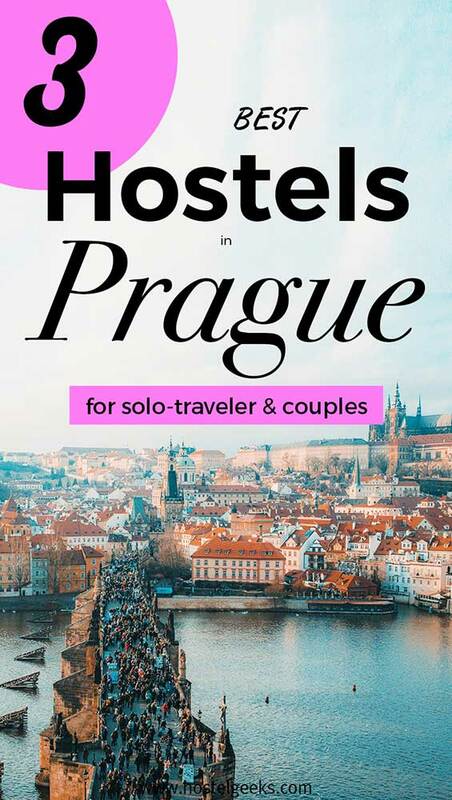 What about the best hostels in Prague for Solo Travellers? Going solo doesn’t have to mean travelling alone. As said in the beginning, the Mosaic House would be my first choice when traveling solo to Prague. 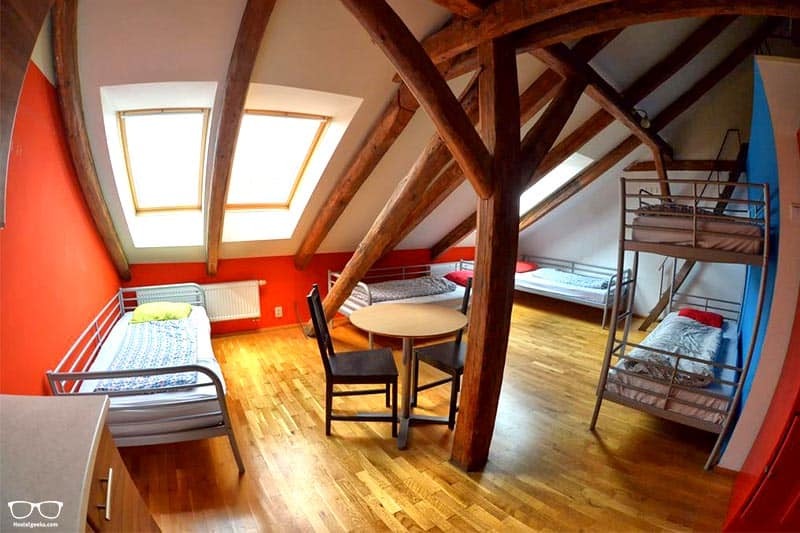 Here is a few more options for hostels in Prague for solo-travellers. To ensure you make great friends and socialise, have a look at The Roadhouse Prague – the sister hostel of The Madhouse. This is strictly a social hostel minus the party element. Get involved in daily activities such as dinner nights and exploring the sights. The social spaces are designed for lazy, intimate times perfect for personal downtime and friendly interaction with both staff and backpackers alike. 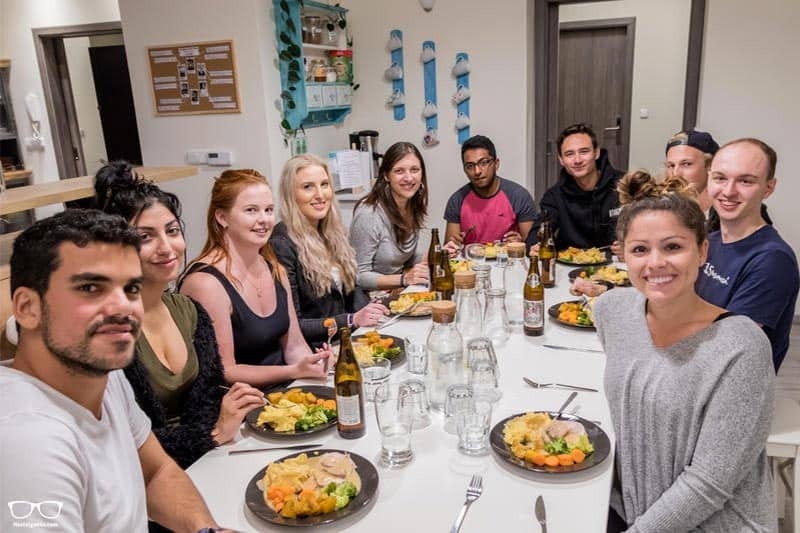 What are the safest hostels in Prague? Safety is, of course, paramount whilst travelling the world. Nobody wants to lose their passport or get into any trouble. We would never suggest a hostel to you that we do not consider safe. 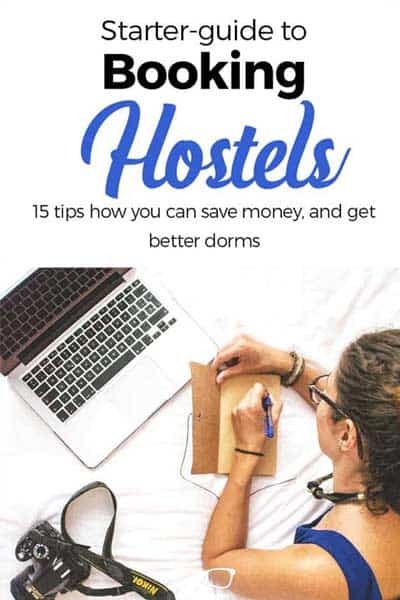 Nevertheless, hostel are really as safe as you make them. As said, my best choice would be Mosaic House. It is located in New Town, just a 7 minutes walk from Old Town. The area is super safe! Nevertheless, you should always be vigilant and take care on your travels. 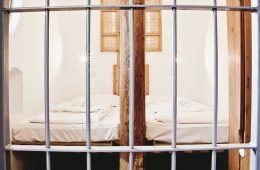 We’ve also prepared this useful guide: Are Hostels Safe? 13 Safety Tips. Considering an insurance? Have a read of why purchasing travel insurance. Are you looking for some personalized Prague Travel Tips? Welcome to our Prague guide– unique recommendations written by friends – for friends! All the listed local tips for Prague are personally tested, and only included because they are highly recommended by us. Psst! We’ve also written a short guide to 5 Things NOT to do in Prague. Currently, we have no special hostel discounts or Promo Codes for hostels in Prague. They all expired already and we would not give you discount codes that are not valid any more. 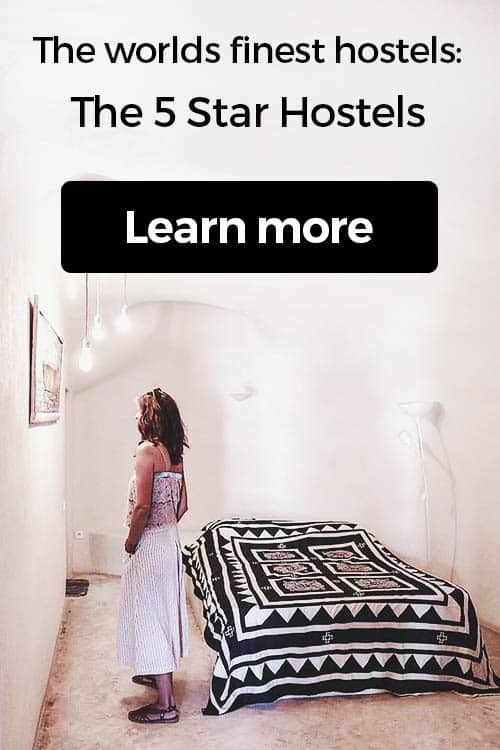 Yet, you can always get the 35€ discount for Airbnb here. Wanna be updated? Subscribe to our newsletter. Here we share our newest promo codes for hostels and hotels in Prague and all other destinations first. As always we’ve included a handy map with all the hostel locations and cool sights around Prague. It might be a good idea to grab a 2, 3 or 4 day city card to enjoy many discounts across Prague. Prague is very well connected by plane. All major destinations fly to Prague directly. When arriving at the Airport, there is a direct shuttle to the city center. This is the fastest way to get downtown. 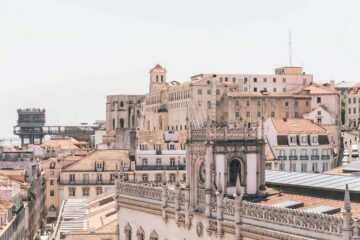 We enjoy Kiwi.com to find cheap flights all over the world, including Prague, Milan and more. Just draw a circle over Europe and find the cheapest rates for the area. Once in beautiful Prague, try to add more destinations to your bucket list. All these destinations are easily connected via train or bus. 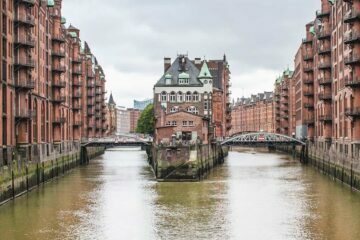 Check out flixbus to find the cheapest way to travel around by bus. 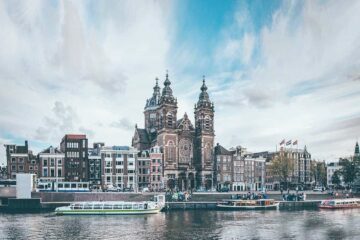 We have a big selection of 5 Star Hostels in Europe. 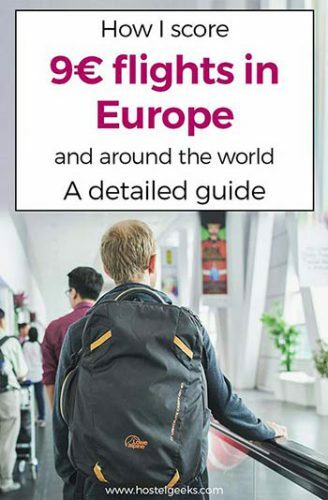 Find all our guides to 3 best hostels here. At this point in time, you should (hopefully) be feeling pretty prepared for Prague! The hostels we’ve introduced will happily house party animals, solo travellers, female travellers and friends. Perhaps you have a question or two? Maybe you’d like to correct a mistake? Please, please don’t hesitate to help us improve our guides. Your input is important to us. Also, we will never recommend you any place we haven’t evaluated or are not convinced by. 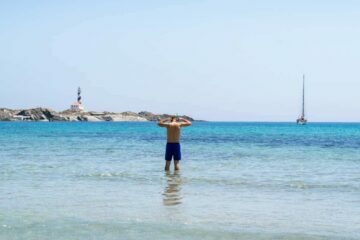 We share with you exclusively places we recommend to our best friends and family!